Sunday morning inspiration – WHO AM I? Who am I? – For inspiration, this is one of the most important self-conscious and self-oriented question everyone must ask before a great personal awakening happens in our lives. Who am I? Where am I? How came I here? Where am I heading to? What is this thing called “the world”? Who is it that has lured me into this world? Why wasn’t I consulted (probably by my parents) or made acquainted with its manners and customs before throwing me into the world? And if I am compelled to take part in it, where is the director (so as to complain and make some remarks)?… and the list of questions is endless. There is absolutely no need of blaming anyone, not even our parents for bringing us into the world, the fact that we are already here is quite enough reason to first and foremost discover who we are. The word “I AM” is so powerful that if we realized its potential, most of life’s problem will be solved because I AM is the secret of nature and the emblem of eternity. If we constantly repeat I AM… everyday, it evokes in our minds and souls the true cosmic consciousness and self awakening that will really help us to discover life’s true purpose. 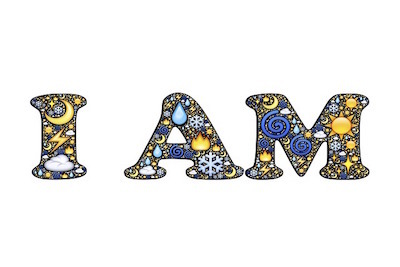 So to the question “Who am I?” a perfect answer will be …. I AM an embodiment of God’s glory and His representation here on earth, I AM a powerful force of nature, I AM that perfect man that has been prophesied of old that will put on righteousness and know no lack, no sickness or poverty but will attract wealth and abundance that will even make the wise king Solomon (in all his glory) to be so envious of me. When Moses asked God in the burning bush in the old Midian settlement who He was, the simple reply was; “I AM THAT I AM”. Jesus also said “I AM the way… , so instead of reasoning all the above stated questions (which can probably make us loose our senses) we can start today to make positive affirmations of who we really are and what we really want to accomplish and life will just get better and better.